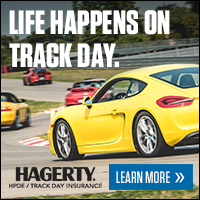 Join us for three fabulous days on the Full Course at Virginia International Raceway. This is a ‘must do’ event for 2018. Registration opens May 8, 2018. This event is open to advanced solo drivers only. Verification of advanced solo experience is required to be accepted for the event. A buffet dinner for drivers and guest will be held Saturday night. $25 for drivers and $35 for drivers guest. Accommodations in area hotels are plentiful. Please search in either Danville, Virginia; South Boston, Virginia or Roxboro, North Carolina, depending on your preference. Please make sure all your guests are registered and have signed waivers. Drive safe, smart and have a great weekend. As always, “It’s not just the cars, it’s the people”.